Ok, making progress albeit slow. 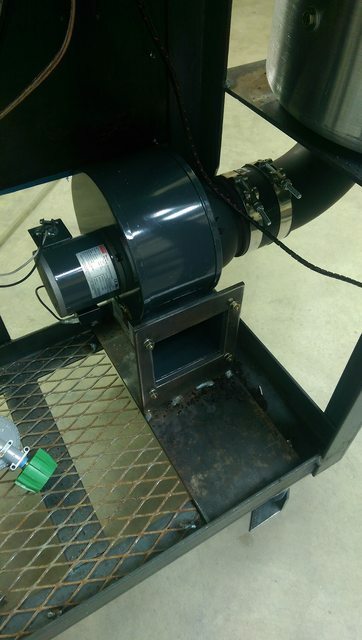 Insulated the roaster and made a couple of changes....getting closer. Snow has slowed me down a bit. Yayyy.....getting a bit more done. Working on the control panel and wiring. Little by little it is coming along lol. Always slower than we would like. I am kind of impatient anyway. Well done. It's looking very good! Yeah, these are a lot of work but fun to do. I enjoy building stuff and this falls into categories I enjoy doing. wire, wire, wire, and more wire. 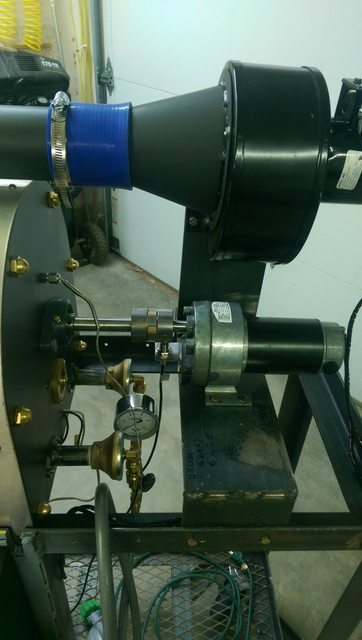 3 motors and controls done and one to go. getting antsy now. 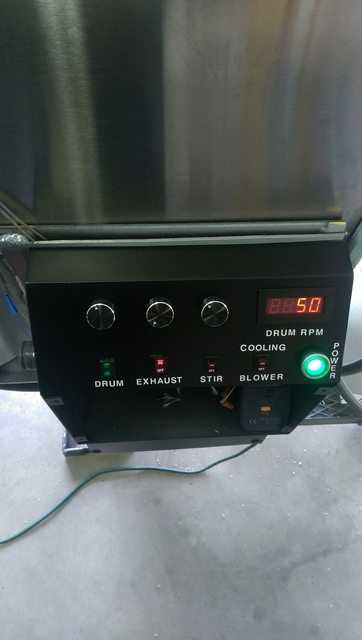 Excited now, got everything connected and am going to burn beans tomorrow (Tuesday) when I season the drum. ok, seasoned the drum with a couple of batches @ 2 lbs. 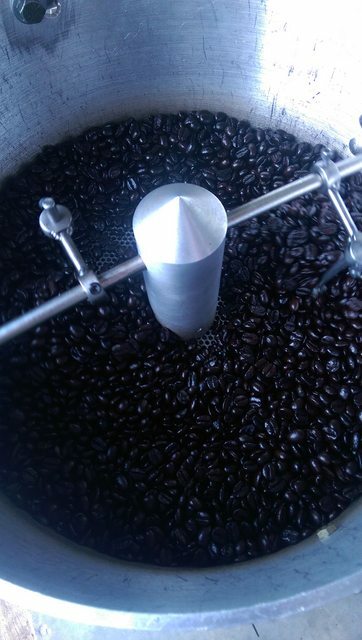 I will probably do a few more as I have enough junk beans for 3 more roasts. Everything went well. 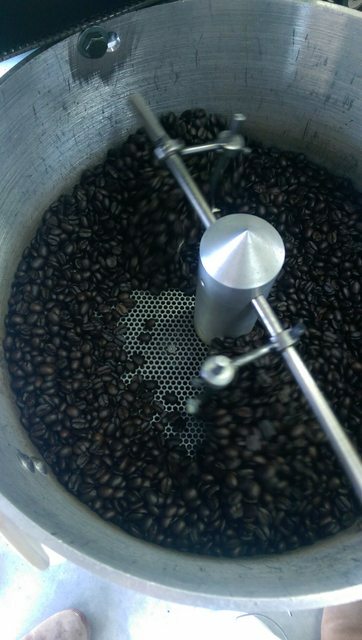 The cooling blower will cool the beans in about 30 - 45 seconds. 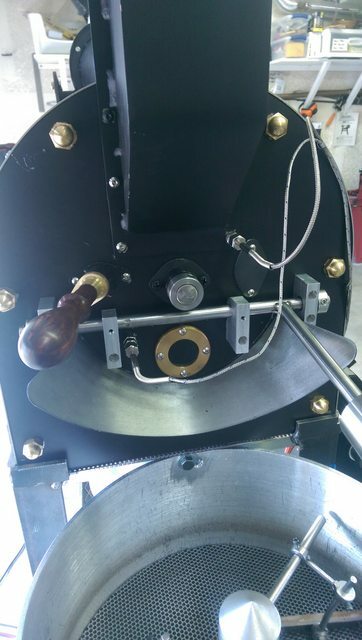 The ET is about 40* higher than the BT halfway through the roast. 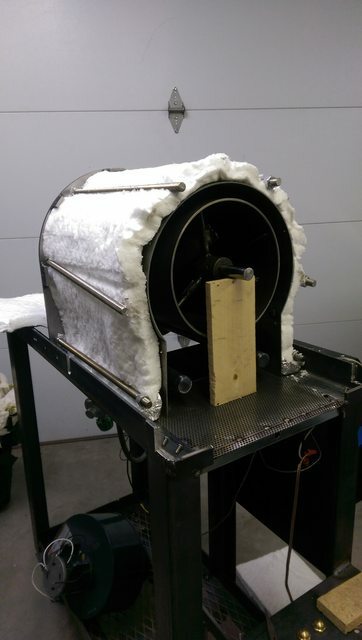 That gives an idea how different the temps are @ two different parts of the drum. The BT is in the door and the ET is right @ the exhaust port. Outstanding! 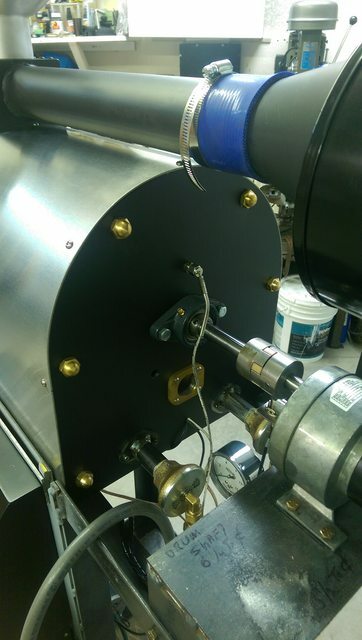 Now some photos of the finished roaster please! 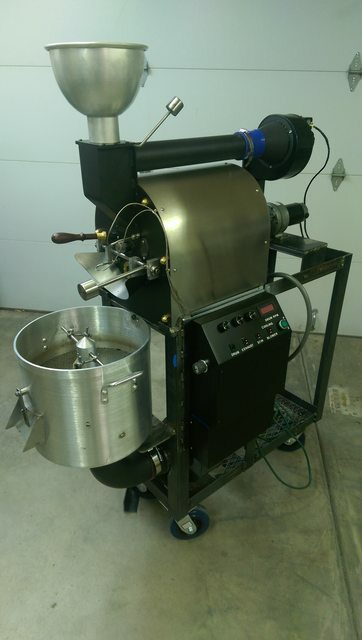 Here are some pics of the roaster as it sits now. I am going to do some more stuff on it later and paint the frame, but for now, it will be roasting. Very Nice! 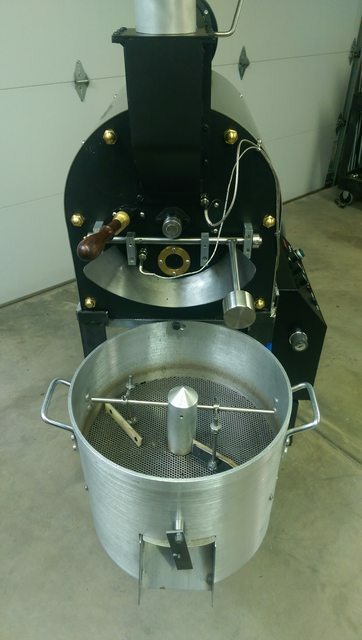 This is an amazing looking roaster, super job! let us know how the roasts turn out and controllability. BTW, to get rid of the stock pot look, you may want to lose the handles on your cooling tray. Congratulations BobbyS! 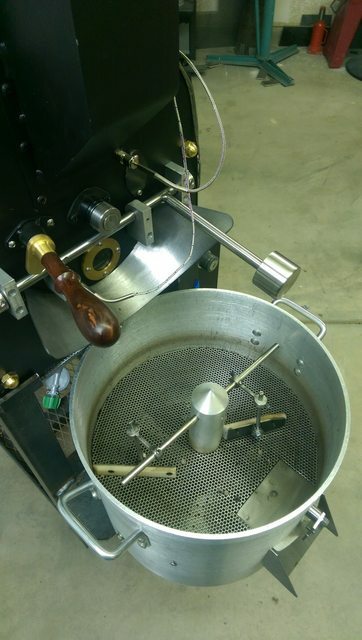 Nice looking roaster. It was a long road for you building this, glad you kept with it! So very nice indeed! Very gratifying to see it now! This is really great to see. 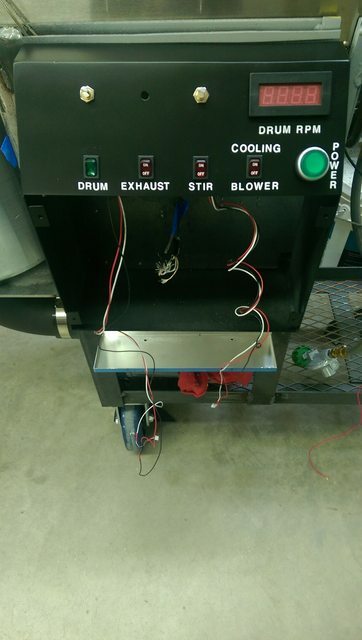 Do you have work-in-progress photos of the internals for the cooler? I think that's a really nice use of the pot. Edit: scrolled back far enough to see some pics. Did you fabricate all those pieces? I did not fab the pot I used for the cooler. The roaster end plates I had water jet cut and the stainless steel cover was fabed at a shop. The rest I fabricated. It is a slow process with stone age tools lol. Thanks for the kind words! Yeah I need to get those handles off for sure. I think it will be fun to get them off. Thanks Jack! Yeah a long road for sure and I lost time having to let my thumb heal after taking the end off lol. I roasted 3 more seasoning roasts today and I think this is going to be a great roaster. 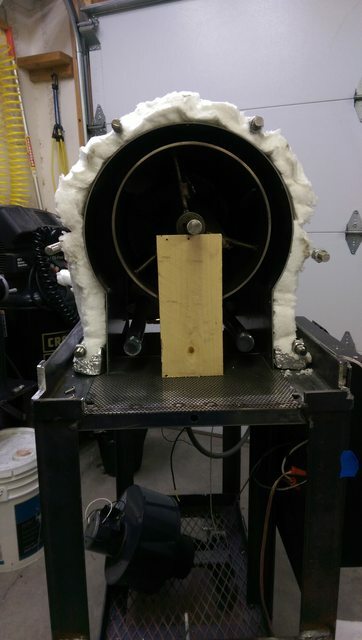 I may have to fiddle with the burners as the other day I had 45* ambient temp and I never got over 3.5" WC. Today it was only 65* and I never got over 1.5" WC. When it gets real hot 95+ I might not be able to slow it down far enough without the burners going out. Have to see I guess. Always can be an experience! 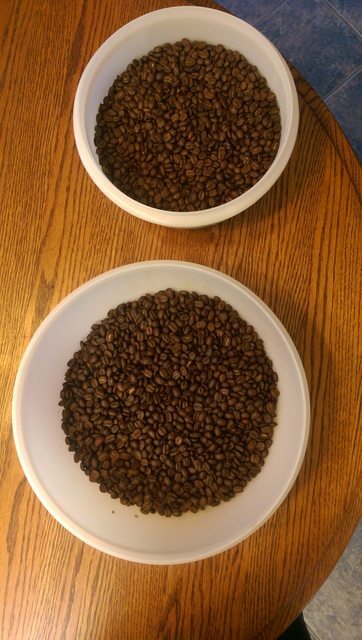 OK, roasted two Guatemalan roasts today. Haven't tasted them yet but they look and smell good lol. It doesn't look it on the pic but the lower of the two is a little darker.